When I bother to put my hair up in something other than a 2-second ponytail, there are usually braids involved. Sometimes there are multiple braids, or french braids, or a braided bun, but there are almost always braids. The other day someone asked me how to do a basic braid, so I decided to do a basic hair braiding tutorial this week and a french braiding tutorial next time. I hope you like them! The main concept to braiding is that you have 3 separate sections of hair and you alternate moving the right section into the middle and then the left section into the middle over and over again until you have a braid. 1. Brush your hair and separate it into 3 equally-sized sections. 2. Move over the section that you are holding in your right hand so that it is now in the middle. Switch it to your left hand, so you are now holding two sections of hair in your left hand and only one section in your right hand. Notice that I'm holding one section with my thumb and the other section with my pointer finger so that I keep the two sections separate from each other even though they're in the same hand. 3. Now use your left hand to move the section that is the farthest to the left into the middle, and switch it to your right hand. You've now learned everything you need to know to braid your hair! 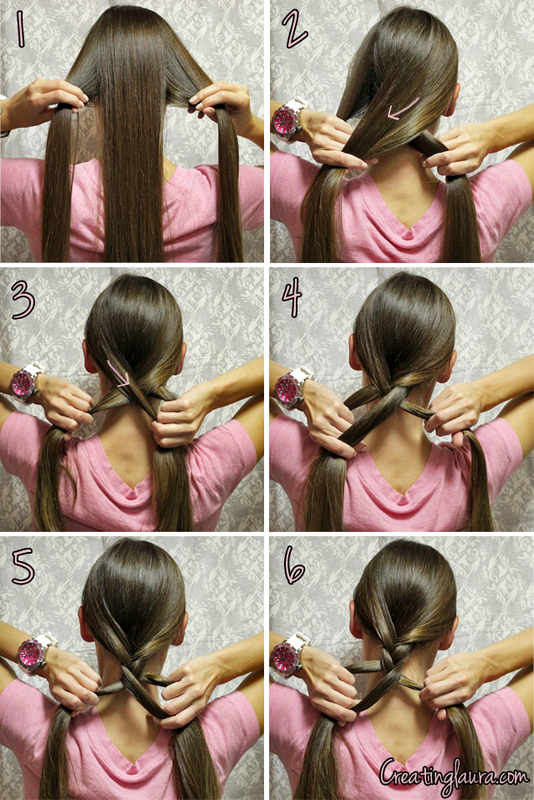 Steps 4 through 6 are really just repeats of steps 2 and 3 so that you can see how it looks as your braid progresses. 4. Move the right section into the middle and switch it to your left hand. 5. Move the left section into the middle and switch it to your right hand. 6. Move the right section into the middle and switch it to your left hand. Continue bringing the right and then the left sections into the middle until you've braided your hair all the way to the bottom. Secure it with a hair tie. Now you know how to braid your hair! Practice it a few times and it will get easier and easier. 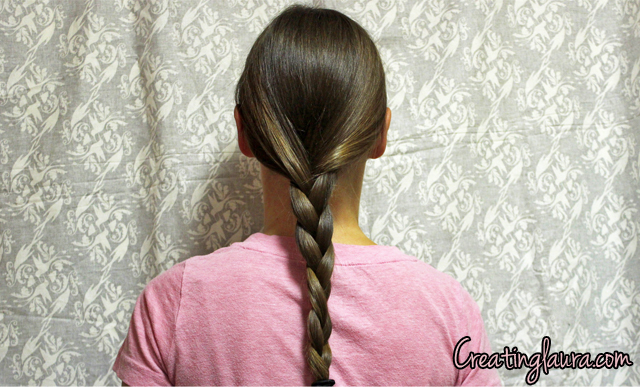 If you have long hair, you now have all the skills necessary to make crown braids as well. You're welcome! Thanks for inspiring me to do this post. =) I hope it helps you!